London, the UK’s dynamic capital and one of the world’s great cities, offers students a truly unforgettable experience. It is a rich cosmopolitan city with endless cultural, culinary and entertainment opportunities, but best of all, it fully immerses students in the language they want to learn. All this has made London the ideal and most popular destination for learning English as a foreign language. The school’s philosophy has and will always be to offer quality English language tuition in a fun and relaxed environment that is conducive to learning. Our qualified and friendly staff are always available to ensure that students get the maximum benefit and enjoy themselves in the company of like-minded people from all over the world. This course provides effective training for students who need English for work, study or travel. Experienced teachers use a course book and supplementary material to help students produce and practice the four language skills. The aim of this course is to help participants to communicate, and emphasis is placed on encouraging fluency and confidence in the English language. Smaller classes ensure more student-teacher interaction and will accelerate the learning process. Experienced teachers plan lessons to include a combination of speaking, listening, pronunciation, reading, vocabulary building, writing and grammar. The aim of this course is to provide practice in using language and grammar in a wide range of situations, developing the skills and vocabulary that help students to become more effective speakers. Students join the Standard Course in General English which allows them to practice all the language skills. The Intensive Course offers additional lessons which are devoted to speaking, where students wishing to focus on improving their oral fluency can discuss and debate a wide range of topics. The aim of this course is to help students to communicate, and emphasis is placed on encouraging their fluency and confidence in using the English language. An Intensive Course in General English for smaller groups ensuring maximum participation and interaction in class. Lessons include a mixture of speaking, listening, pronunciation, reading, vocabulary building, writing and grammar. Students also join fluency lessons that are designed to develop practical communication skills leading to greater fluency in everyday English. This flexible course combines group lessons with person to person lessons. During the group lessons, students will improve their general English skills with participants of the same level. The person to person lessons focus on specific language/ vocational needs through tailored tuition designed to meet the individual’s requirements. This combination will accelerate progress and promote fluency and accuracy in spoken and written English. This course combines lessons in a smaller group with person to person lessons. The mini group lessons ensure more student-teacher interaction while the person to person lessons concentrate on the student’s particular needs. By having fewer participants in the group class, this combination course will ensure quicker progress in developing fluency and accuracy in spoken and written English. Our most intensive course combines more person to person lessons with fluency lessons in a group. The greater amount of direct student-teacher interaction time makes it possible for the participant’s language needs to be addressed more effectively. This, combined with fluency lessons offers the best opportunity for students to achieve greater fluency and accuracy in using the English language. This is an intensive course which is 100% focused on individual English language requirements and designed to match specific needs. This is the most flexible and personal course available that will quickly help students achieve greater fluency and accuracy in using the English language. An intensive course focusing on the English language requirements of two participants traveling together. Students are given personal attention and the lessons are designed to match their specific needs. Our Business Course is for experienced business people who need to communicate in English. Subjects covered range from Business English expressions in economics, finance and sales and marketing. Students can practise negotiating skills, giving presentations, writing business correspondence and preparing business plans. This course is aimed at individuals who need to improve their Business English skills. Topics covered include Business English expressions and participants can practise giving presentations, writing business correspondence, negotiating and telephone skills, and preparation of business plans. 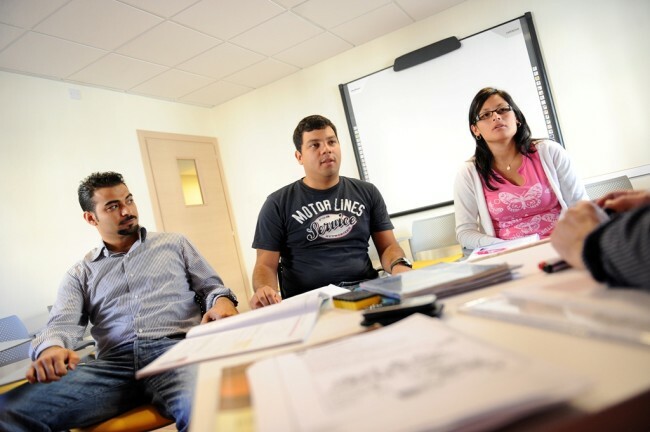 General fluency lessons help participants develop practical communication skills. Students studying on our exam preparation course join a Standard Course in general English which allows them to practice all aspects of English reading, writing, listening, speaking, grammar and vocabulary to improve their general level of English, The 10 lessons of exam preparation with focus on the skills needed to pass the exam. regular testing is also carried out to monitor progress and highlight weaknesses. The TOEFL exam preparation course is designed to improve the student's overall language ability in addition to developing the language skills necessary to pass the exam. Experiences teachers provide complete and careful preparation for all aspects of the examination and include practice interviews and mock examinations under authentic exam conditions. Students taking our IELTS exam preparation course will have 30 lessons per week – 20 lessons of General English classes and 10 lessons of special exam preparation classes that practise the specific types of questions found in these exams. 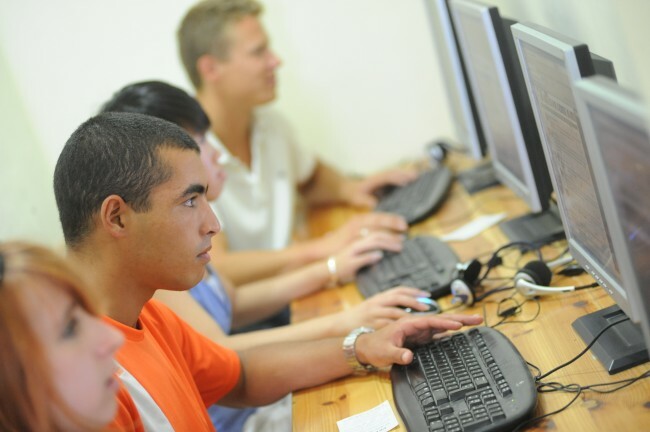 Students can opt to take the examination either at a centre in Malta or in their own country. This programme is for families who would like to travel to London to improve their language skills while enjoying all that this marvellous city has to offer. Parents may follow an adult course, while their children are placed in a junior course where new language – vocabulary, everyday English, idioms and grammar – is introduced and practiced to encourage real communication and rapid learning. 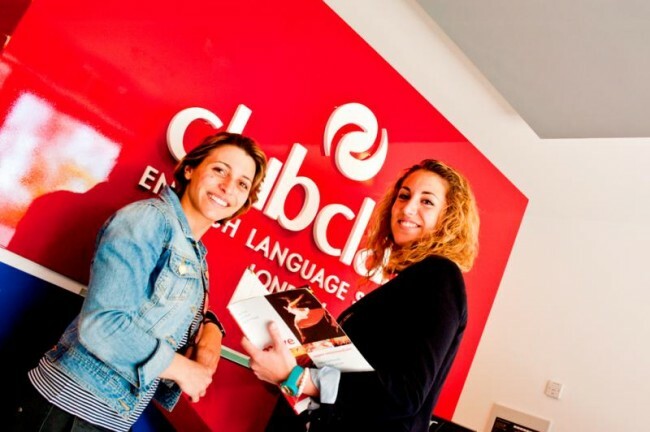 Clubclass English Language School - London offers a Closed Group Programme which is tailor-made to the groups’ requirements. The school’s excellent location makes it ideal to combine English language tuition with a selection of social activities. During lessons the emphasis is on spoken English and communication activities which help students build their confidence in using the language outside the classroom. The activities offer members of the group an excellent opportunity to listen to and use English in an informal environment while enjoying what this vibrant city has to offer. The school can also organize accommodation with host families or the group can sort out its own accommodation in one of the numerous hotels or bed and breakfasts situated close to the school.